In January 2010 the doors were opened to the brand new LOST Theatre, a fantastic arts complex with a 181 seat theatre, 2 rehearsal studios, 2 ample dressing rooms, a workshop, gallery space and foyer bar. 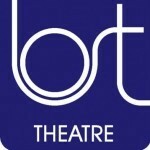 With over 30 years behind us, LOST Theatre looks forward to presenting a varied programme of events in our new home. In 2011, our stage will see our 27th annual One Act Festival, vibrant performances by invited companies, new productions from emerging talents, classes and courses, the best from new artists and musicians in London as well as continually working with and for the community around us.